Thanks to a great reader suggestion, next month I'm going to be starting a new series called Ask Kilee. I love getting emails from OLM readers with questions or asking for advice, but honestly, my email is a mess. As I type this, I'm having a debate with my husband about how I need to get with the times and update how I organize my email. So, long story short, I frequently miss or don't get around to answering your questions. And I'm so sorry! To help remedy this, I thought I'd put out a call for questions, and then I can answer the most common ones here on the blog. The questions can be about beauty, clothing, style, motherhood, or just whatever. I'm also trying to decide if I'll do them in a video or write them up in a post. Which would you prefer? 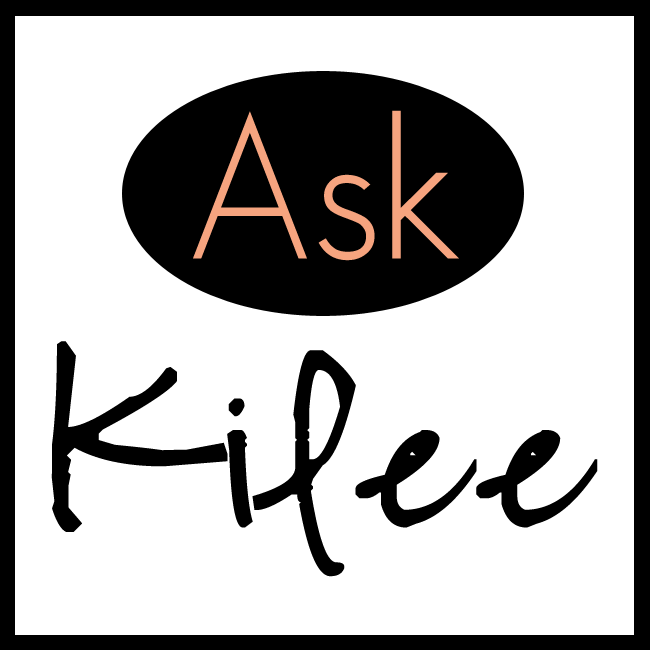 Email your questions to kilee @ onelittlemomma dot com. I'll be putting together at post next week, so get your questions submitted. Thanks! I can't wait! I love the videos! It makes it feel even more personal! I prefer written posts, by far. I don't watch videos, only read. I have a question! Advice on styling short boots with a flat heel? I'm curvy and I'm not sure how best to wear them with all the lady lumps I've got goin on haha.